Christmas in July, what? Actually yes, now is the perfect time to be thinking about Christmas trees. Now is when we go through our basements and attics and get rid of our junk, clutter, and things we just don’t use anymore. So we find the Christmas tree we have not used in years, it takes up to much room, or we have a new one, or now that the kids have moved out we don’t need such a big one, or we go away every Christmas so we just don’t use it. There are 1000’s of reasons why people have unused Christmas trees in storage. Most of them get put out into garage sales, donated to charity or get put into the garbage. Most Christmas trees don’t sell at garage sales. I have seen what happens to the trees donated to charity, they are found all over the second hand shop, usually one piece here and other over there. They usually get wrecked and end up in the garbage anyway. She has also been rescuing trees from garage sales. Her friends and family keep an eye out for trees for her project. In the first year she helped 7 trees find new families and 10 trees the second year, however there were more families looking to adopt trees then there were trees. Every year the number of trees that find new homes increases but so does the list of people looking for them. I find that she has inspired my family; we are now keeping an eye out for trees and decorations that can be given to families in need. It would be great if we could all pull together and take the Christmas Tree Project to a new level; world wide. I know there are Christmas trees sitting around in storage that still have life and can be used. If you have one, or know of someone with one get yourself and every one else involved in the Christmas Tree Project. 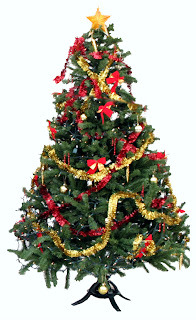 If you have a tree then post it onto Freecycle or any free ad site. If you don’t feel comfortable with people coming to pick it up, drop it off. Often families who need the trees don’t have a way to pick it up, so dropping it off helps a lot. Rescue trees from garage sales and second hand shops if you can afford it. Spread the word. Christmas does not only have to be in December, we can have it all year round by getting unused Christmas Trees to people who will use them. This is also a good thing to do with those unused Christmas decorations. Jackie is currently adding Christmas Decoration to the Christmas Tree Project. It makes sense, people who cannot afford trees probably cannot afford the decorations. You may ask how I found out about Jackie and the Christmas Tree Project; She gave me a tree a week ago, one that I could not have afforded. I appreciate what she is doing and hope this can grow to be a huge Christmas Tree Project this year if we all pull together. As she said, there are always more people looking for a tree then trees. Lets try to change that this year.